Don’t take your digestive system for granted. It is responsible for breaking down the food you eat and forming a bacterial balance within the digestive tract. When these levels are balanced, your digestive tract protects the immune system by boosting your body’s natural defenses. Ditch heavily processed carbohydrates, like white rice and white bread as they can cause inflammation. Go for whole grains like oats and quinoa. Try to remove refined sugar from your diet. Use a sugar substitute if you need to. Refined sugar is believed to cause constipation and slow down food transit time in the digestive system. Snack on raw almonds instead of chips. Nuts, along with vegetables, seeds and beans, are healthy, natural sources of fiber. Instead of getting coffee or bubble tea (both of which contain caffeine), drink more water. Water helps keep your intestines smooth and flexible, so that your stools will be soft and easy to pass. Natural sources of probiotics like cultured foods such as sauerkraut, kimchi and atchara are all rich in organic acids which support the growth of good bacteria. Miso, which is used for soups and sauces, is very rich in probiotics. Yogurt, of course, is the most popular source of probiotics. Instead of steaks and fried chicken, opt for salmon, which is rich in good fats to skip on the bad fats that can lead to having too much fat stored in the liver. A fatty liver is a sign of an unhealthy digestive system and will affect your entire health. 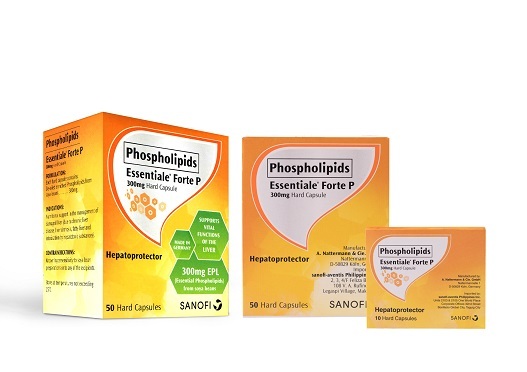 Keep your liver in check with Essentiale® Forte P. It contains essential phospholipids that repair damaged liver cell membrane, regenerate lost phospholipids and restore normal functions of the liver, keeping your liver healthy for a happy digestive system. Your gut is filled with good and bad bacteria. However, poor food and beverage choices, antibiotics and stress are killing off good bacteria, which you need to stay healthy. Instead of your daily fix of flavored fries, which is full of carbohydrates, fats and sodium, take a daily probiotic supplement, which can help with digestion and stimulate the immune system. If you have kids, make sure their digestive systems are in tiptop shape. Consult your doctor to learn more about Probiotics! Aloe Vera, olive oil, coconut water, figs, prunes and dates are laxative-rich foods. 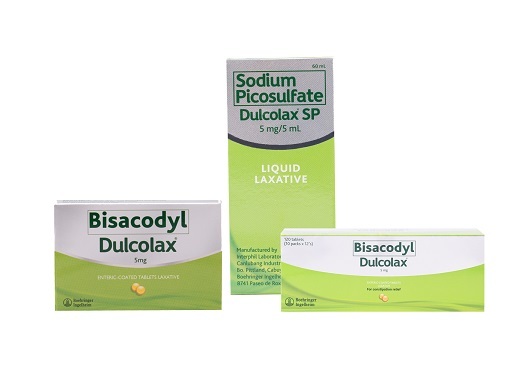 You can also take Dulcolax®, which stimulates bowel movement and treats constipation and other bowel irregularities. Dulcolax®, the world’s No. 1 laxative5, ensures that you’ll have a relieved and happy tummy in the morning.